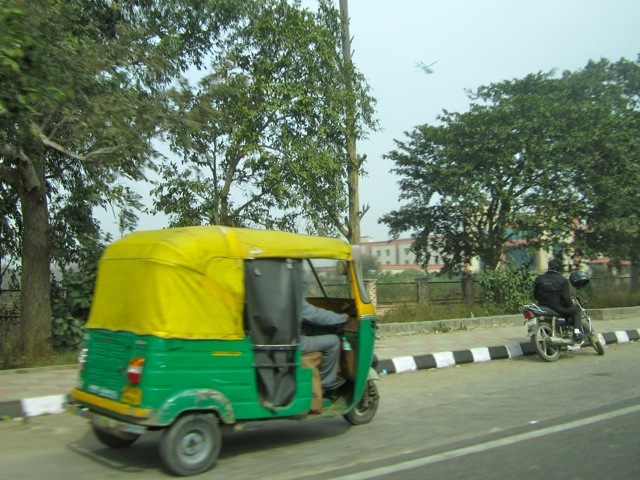 The most prominent feature on the roads of Delhi were the green and yellow tuk-tuks. We saw them everywhere. 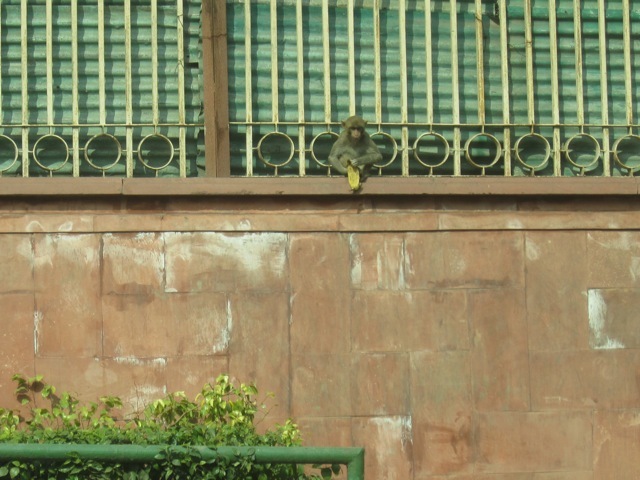 And in this shot, a helicopter in the air – probably part of the tight security due to Republic Day. Also spotted this little monkey with a banana peel. There are animals everywhere in India and most of them looked tired and weak probably from malnutrition. It was sad to see skinny cows rummaging through the piles of garbage for food in Agra, which was where we travelled to from Delhi, but I will cover that part of the trip later. 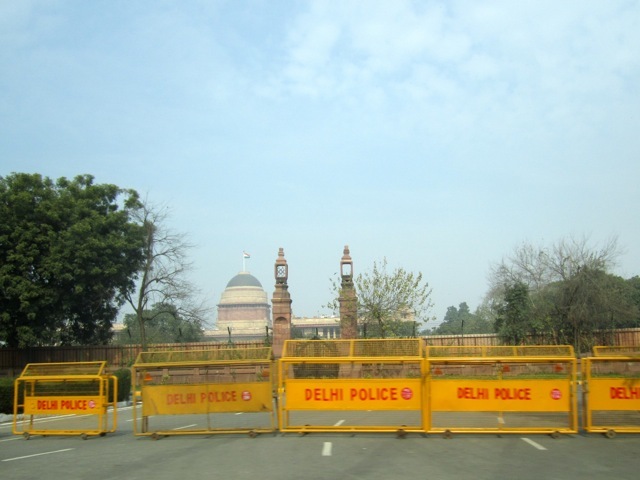 These yellow Delhi Police barricades were everywhere in preparation for the Republic Day parade. I must say I was very awed by the vastness of the political headquarters. Every embassy seems to occupy ten times the amount of land that they do in Singapore. Everything was just huge. All these were reminders of the colonial past and this is where the British had their headquarters too. 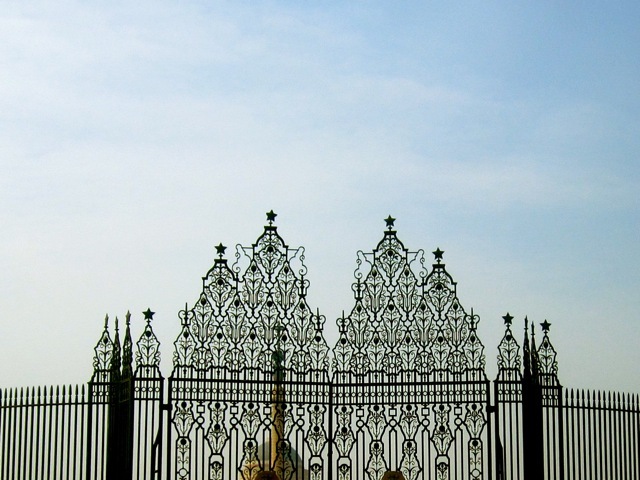 I was most impressed by the beautiful iron wrought gates outside what is now the President’s home. 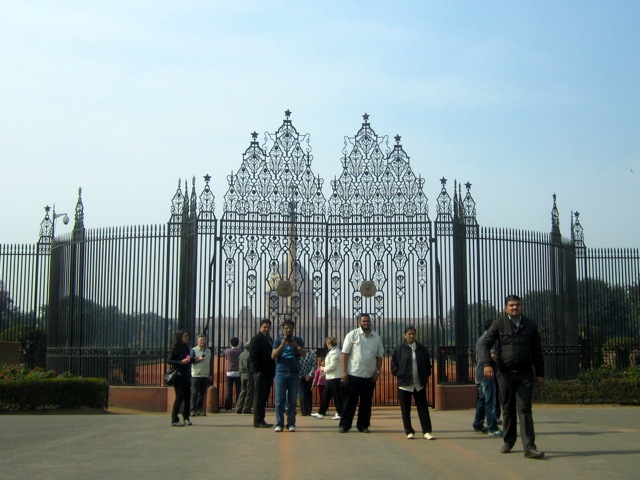 It was built and occupied by the Viceroy, when India was under British rule. The foggy view from the window of our hotel room. 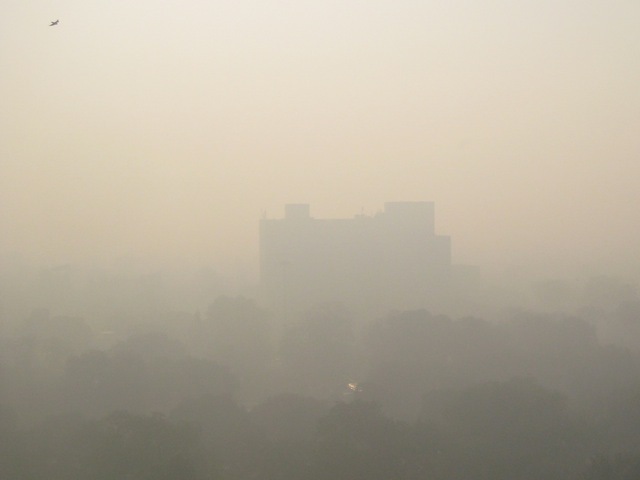 The yearly haze we experience in Singapore due to the Sumatra forest fires is nothing compared to this smog. 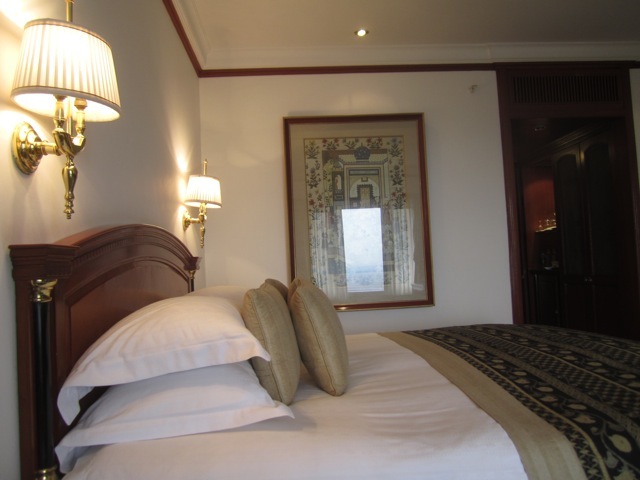 But it sure was nice to reach the hotel and be in the lovely room and rest awhile. 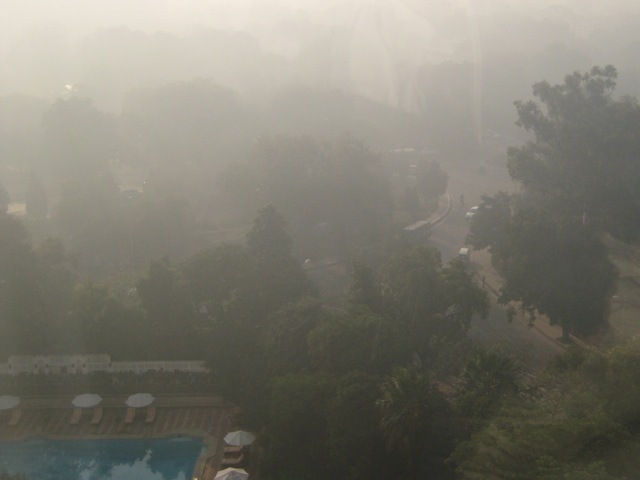 This entry was posted in Travel and tagged colonial, Delhi, fog, gate, hotel, India, President's House, room, Smog, Taj, Viceroy. Bookmark the permalink. Thanks Lady J 🙂 I can’t wait to read about your version when you do. You’re enticing me with your travel photos as well. Turkey looks wonderful.